Marc plays the saxophon and he is a jazz conductor very well known. He can give you good advice on the most famous places in Paris. 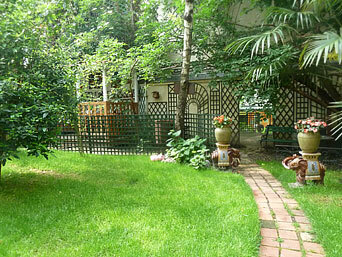 In the good side of the 17th district, not far from the Congress Centre and a few minutes’ walk from the Champs-Elysées, he offers more than a b&b to you, but a complete apartment located close to his and which, as a rare priviledge in Paris, has its private terrace on Marc’s garden, a true wonder ! You can have breakfast, as you wish, at Marc’s, or in your own apartment, or in the garden.